If you’re looking for a way to afford a crazy, long-range trip without using airline miles, look no further than The Flight Deal, which uses advanced algorithms to find drastically underpriced airfare deals across the globe. If you pay close enough attention, you can find some pretty outrageous fares for up to 80 percent off. The website frequently features round-trip flights to Europe or Asia for $200 - $300 from select cities, but also luxury fares to destinations like the Maldives and the South Pacific for $500 or less. The kicker is, these fares are usually only available for a day or less. So, you have no choice but to act fast. That “acting fast” part is where people have the most gripes with the deal-oriented website. Many people simply cannot book travel without getting days off approved through work. Further, even discount fares require you to have plenty of cash up front. Lastly, The Flight Deal and other similar websites don’t always offer the selection you want. Certain sales may only be for economy flights only, for example. And many flight deals are only available from select cities. If your goal is scoring discount airfare, make sure to check The Flight Deal (and other websites like SecretFlying.com) daily. Consider following these sites on social media so you’ll be first to hear about new deals. However, it’s important to remember that most flight deals originate from larger airports in the U.S. and abroad. If you live near a smaller airport like Indianapolis, you’ll probably never see a deal from your home airport, for example. But if you broaden your search to include Chicago airports, you’ll have access to a significant number of deals. If you wait long enough, you will probably see a discounted fare to the exact region of the world you hope to visit. And if you broaden your choices slightly, you’ll probably find a sales fare rather quickly. Try keeping your mind open to several large city airports where you want to go. If your goal is seeing Europe, for example, don’t be afraid to fly into Munich instead of Rome or Dusseldorf instead of Berlin. Not only does being flexible empower you to see new cities, but you can often work your way to where you want to go regardless via trains and other forms of public transportation. No matter what, you need a travel emergency fund to access when the trip of a lifetime calls. Without one, you won’t be in position to pounce once the best airfare deal comes along. Start saving every payday, every month, or in any fashion that works with your goals and budget. Soon enough, you’ll have the cash on-hand to book when the time is right. The U.S. Department of Transportation requires airlines to refund customer money to the original form of payment if air travel is canceled within a 24-hour window of booking. 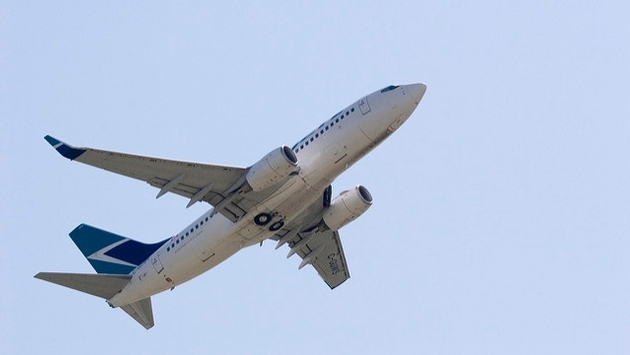 This may allow you to book speculative flights while you get vacation days approved at work. If you can’t get time off within 24 hours, you can cancel and get your money back. As an alternative, some airlines allow you to put award flights and paid fares “on hold” for varying lengths of time. The American AAdvantage program, for example, lets random consumers hold their airfare without paying for up to five days. If you’re booking a discount fare directly with an airline, this benefit may be all it takes to lock in your flights while you get your vacation days approved.